Currently Winkworth International markets select new build developments projects in Cyprus. 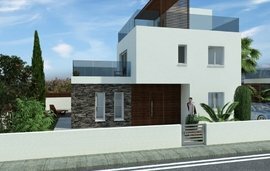 The process of buying new build properties in Cyprus, for UK purchasers is a simple process which is similar to that of buying in England and Wales. One would expect a purchaser to employ services of a knowledgeable solicitor, specialising in Cypriote conveyancing procedures. It is normal when buying new build property that the developer will ask for a none refundable deposit in order to remove the property from the market, and for a sellers pack to be issued to the purchaser, purchasers solicitors. Prices for new build property in Cyprus, that Winkworth deal with, range between €300,000 euros to €3,000,000 euros. 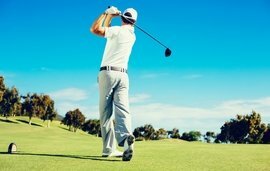 Properties tend to be close to the airport, secure communities offering golf and other leisure pursuits. Sea Caves Residences - six individual detached villas. 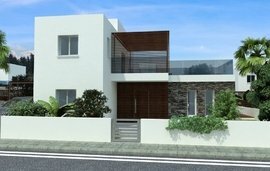 What are the costs for buying new build property in Cyprus? The purchaser also needs to be aware of Property Transfer Fees that they will need to pay upon completion. Once payment has been received, the District Land’s Office will provide the Title Deed which shows the purchaser as the property’s legal and registered owner. In all property purchased Winkworth is able to introduce solicitors and tax accountants to answer any questions assist with the purchase. 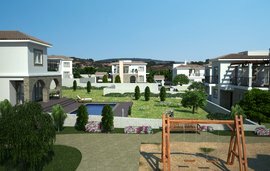 We market international properties in conjunction with our associates in Cyprus or directly with developers. Any interested purchaser will be introduced to the developer or the developer’s agent after discussing the process, estimated fees and qualifying the buyer’s requirements and answering any questions they may have to in their envisaged purchase. Subject to an initial meeting or conversation, as a minimum requirement Winkworth will in turn request from developers a detailed summary and schedule of the proposed project and assistance in order to complete our due diligence. 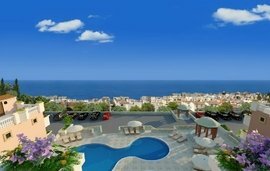 Properties must be owned by a company of standing with the developer having had a proven track record of success in selling previous projects in Cyprus. London’s largest agents to be able to do this. Each development project is discussed with the developer or their local agent by a director of Winkworth International, assessing marketing avenues and the client’s expectations. Winkworth International at this time does not take on individual listings. This information is for guidance purposes only and is subject to change. Winkworth recommend that prospective buyers or sellers of foreign property obtain professional legal advice. Interested in selling or letting with us? What kind of property can I buy for €1m in France? Where should I buy property in the French Alps? How can I find affordable property in France? Where can I buy property in Switzerland? Where should I buy a second property in Portugal? Where is the best area to buy a new home in Tuscany? Which are the best retirement properties in France? What should I expect from my estate agent in Portugal? How do I choose an estate agent when buying a property in France? 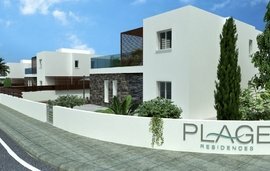 Which property taxes are due on Cyprus new build property in 2017? 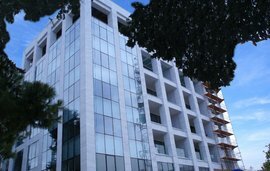 What are the types of property tax in Portugal? What is property tax in France? How to buy in France? How do you find affordable property in Portugal?